Two production models available: Air Crown, Crown HBF36. HBF36 up to four wide operation. HBF36 maximum blank length 18” (457.2mm), dependent on your product geometry. HBF36 maximum forming depth 3” (76.2mm). Fully adjustable for multi-wide operation. Easy access blank magazine refilling. Simple accurate blank feeding system. Adjustable forming head motion profile allows machine settings to be tailored to each product, resulting in optimum quality and production speeds. 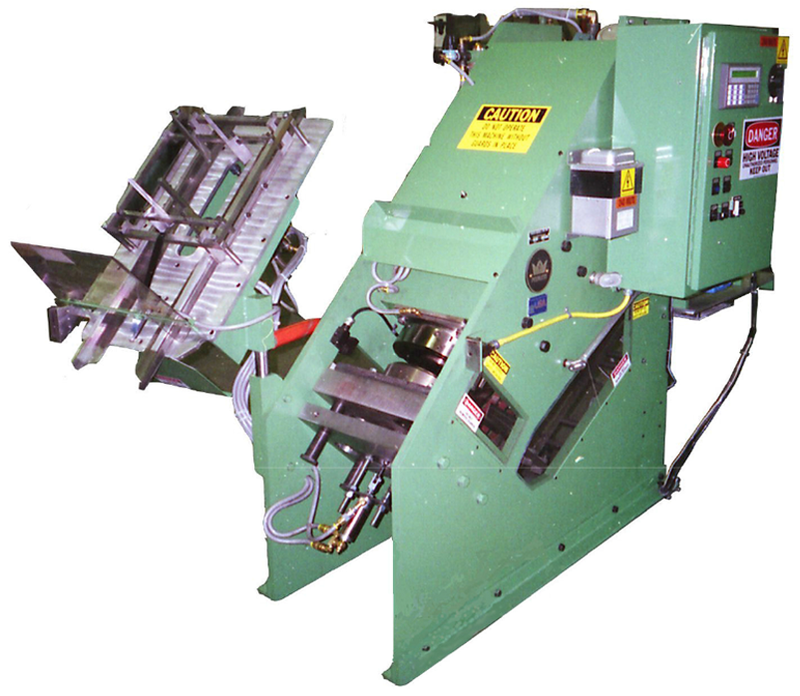 Precision heavy-duty four-post forming die set. 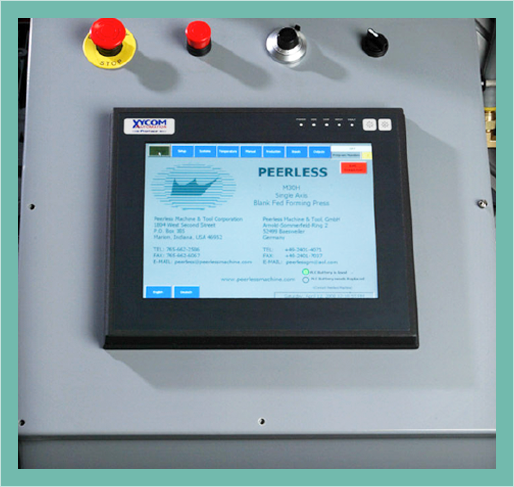 Forming pressures available for quality production of deep draw large trays & plates. P.C. controls allow operator interface for optimum performance. Interlock guarding for operator safety. 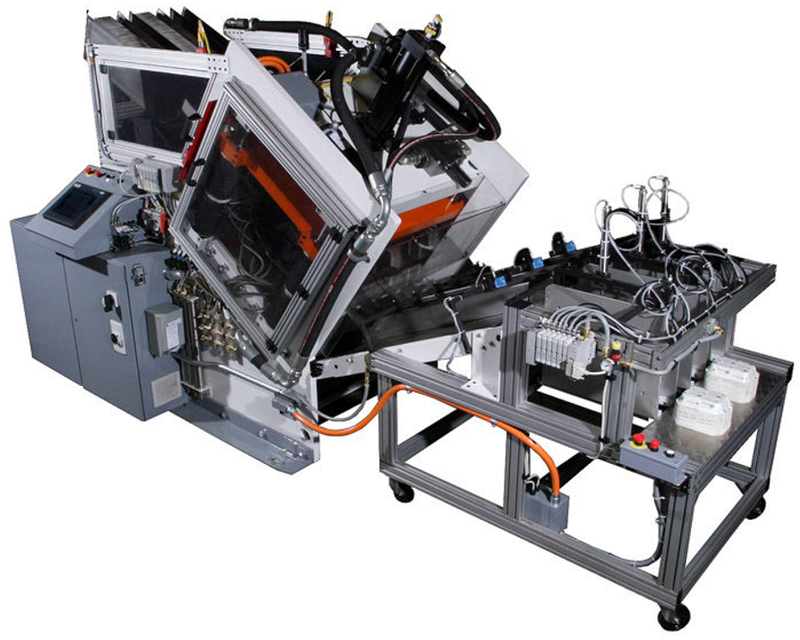 Quick tooling changeovers for production flexibility. Capable of holding up to 24” (609 mm) of various shapes and sizes of blanks including; round, square, rectangle, oval, octagon, et cetera. Simple motion rotating arc design. 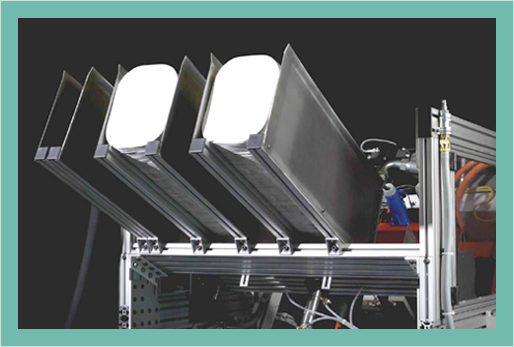 Air cylinder actuated vacuum cups pull blanks from the blank magazine and transfer them into blank chutes. Adjustable vacuum level for different blank sizes and materials. Stainless steel and aluminum materials utilized. 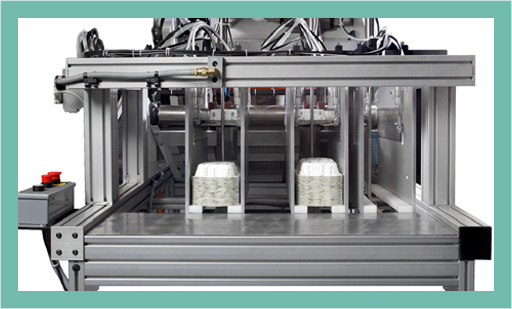 Adjustable forming head dwell and stroke (motion profile) capability allows machine settings to be tailored to each specific product resulting in optimum quality and production speeds. Precision heavy-duty four-pin die set insures accurate, and repeatable forming die performance resulting in high quality products. 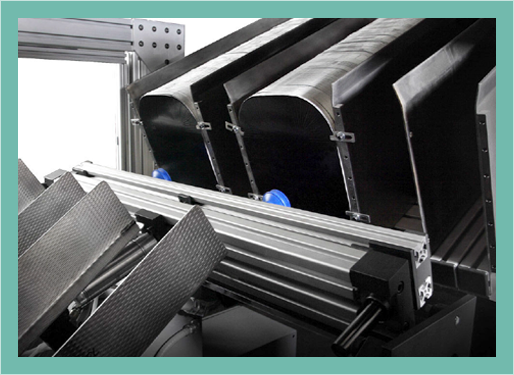 Hydraulic drive system provides up to 25 tons (220 kN) of pressure for quality forming of deep draw large trays. 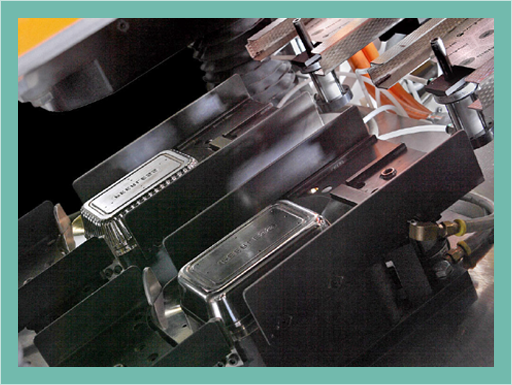 Precision steel forming dies are installed and removed as a preassembled set to speed changeovers. Design allows tall product stacks and individual lane counting. P.C. controls support operator interface, temperature control, motion control, timing logic, et cetera. Production programs are easily stored and retrieved. On-line technical support available with proper internet connections. Both stationary and interlock guarding utilized to insure operator safety. Air Crown, one-wide operation only. Maximum blank size Air Crown 13.7” X 13.7” (350 mm X 350 mm). Air Crown maximum forming depth 1.65” (42mm). 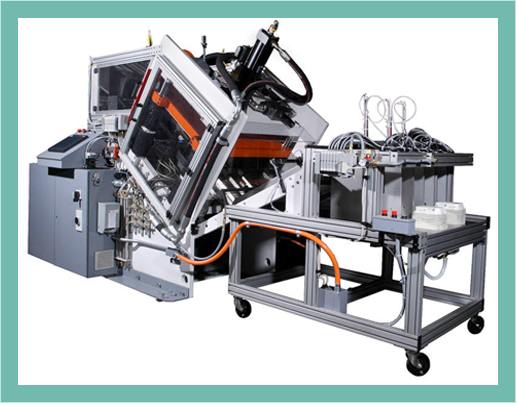 Our basic model forming machine. This unit features a programmable controller, an air-powered forming head with adjustable stroke, and simplified die replacement for rapid changeover.